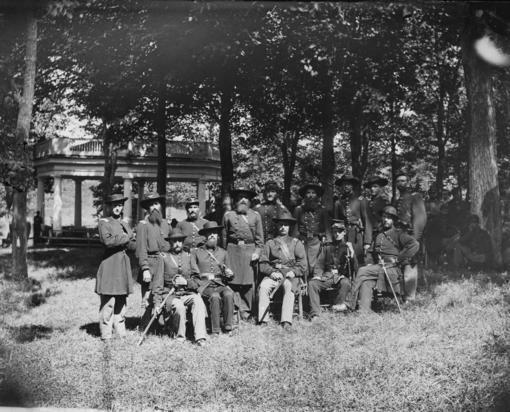 This picture is one of two stereo pairs of the officers of the New York 60th taken at Fauquier Sulphur Springs, Virginia during the Civil War. 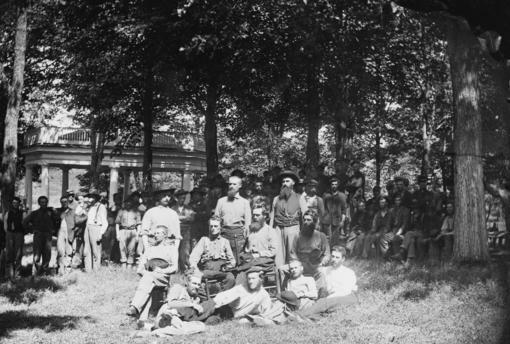 This picture is of the 60th New York Infantry Regiment's veterans who attended the dedication of General George Sears Greene's Monument at Culps Hill, Gettysburg PA. The dedication was about Sept 1907. Write to Stan Maine if you can identify any of the people in this picture! Stan has written a brief history of the 60th's service.